If there’s one thing that screams summer, it’s barbecue. 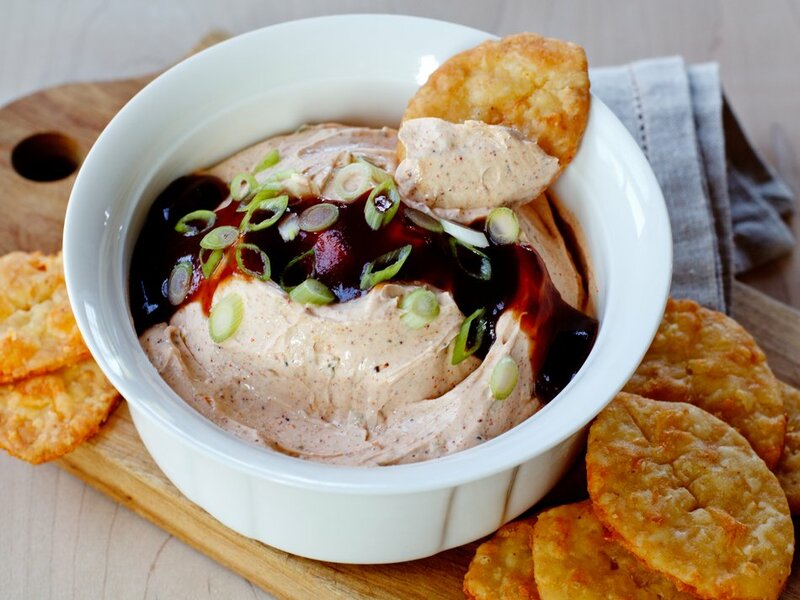 If you happen to have some extra barbecue sauce on hand, you can put it to good use by making our delicious BBQ dip. Our recipe makes two cups (or roughly eight appetizer-sized servings). You’ll find that blending barbecue sauce, Greek yogurt, lemon juice, and cream cheese together makes an out of this world dip. This recipe is great for backyard barbecues (of course!) or family get-togethers. If you think that your friends and family might like the dip, please share the recipe on your favorite social media channels. It shouldn’t take you long to make our BBQ dip recipe. Start off by gathering up these ingredients: Greek-style yogurt, cream cheese, green onions, lemon juice, salt, ground black pepper, cumin, chili powder, paprika, and red pepper. Add all of your ingredients into a food processor and blend until smooth. Then, refrigerate the mixture until it gets firm (which should take a few hours). Finally, add a dash of your preferred barbecue sauce to the top of the dip. Nothing beats a good cheesy dip. If you’re looking for another dip recipe to try, our recipe for Parmesan dip is one-of-a-kind, featuring parmesan cheese and roasted zucchinis. Cabot is a cooperative of 800 farm families. We’ve been making award-winning cheeses and dairy products for nearly a century. We hope you enjoy our BBQ dip recipe. After you test it out, we’d love to hear your thoughts about it. If you have any feedback about it, or if you’d just like to rave about the taste, please rate and review it on our website. Don’t forget to share your review on Facebook, Pinterest and Twitter too! MIX together yogurt, cream cheese, green onions, lemon juice, salt, pepper and other spices (except BBQ sauce) until well blended. PACK into small bowl or mold, cover and refrigerate for at least 4 hours or until firm. SERVE in bowl or unmold onto plate. Spoon stripe of BBQ sauce across top for garnish. Try with our Football Cheddar Crackers. This was a really easy dip to make. I used a lighter cream cheese to cut calories. My coworkers all thought it tasted great! The BBQ sauce really adds great flavor. Thanks for the recipe!